Many people might confuse spiritual coaches with religious leaders, but these are two very different things. You don’t have to be religious to work with a spiritual life coach – you just have to be open to deepening your connection with the nonphysical part of yourself, your mind, your spirit and your soul. We all have our own spiritual beliefs and a Spiritual Life Coach respects that. Spiritual Life Coaching invites you to explore your own faith (or desire for more faith) as the source of wisdom and comfort that it is. Spiritual practices such as meditation or chakra clearing may be suggested to you, to allow your soul to blossom and keep you connected to your divine inner wisdom. You may be asked to consider certain universal principles to expand your consciousness and to become more aware of your relationship to Source. You may explore such issues as codependence and responsibilities, or conflict and resolution, or karma, forgiveness and love, or eternal life, past lives and reincarnation… None of these are ever forced upon you; but hey are addressed as they arise, possibly as the result of working on difficult relationships or situation and the desire to understand why such difficulties exist. Spiritual life coaching strives to help clients shift to positive thinking and an awareness of all the infinite potential available to all. It really does change people’s lives; it can help people improve their relationships, reach newer and bigger goals, achieve lifelong dreams, and discover aspects of their personalities. These goals aren’t always easily defined or measured unless we look beyond the limitation of human perception and tap into the ever-present Divine Wisdom to truly reach a sense of peace, love, and purpose, as well as wholeness and appreciation for all that is. A Spiritual Life Coach will help you trust yourself and your intuition. They will show you how to break free of any beliefs or practices that no longer serve you and no longer resonate with you on a deep level. They will show you how to use your inner self as a guide so that you can continue to evolve and grow spiritually in every area of your life. In Spiritual Coaching there is no judgments, no mistakes, there is no good, nor bad, no victims or perpetrators, there are only lessons and opportunities for growth. In fact as time goes on, you begin to truly love and appreciate yourself and rely more an more on your faith, sense of spirituality, understanding and inner wisdom. Being connected to your inner guidance will, in turn, lead you to live a life full of gratitude and giving. Ideals are an important aspect of life’s directions and these are not always our own. When this happened, and our soul had a different plan for this life, things may not always work out smoothly. So we do look at that carefully and help you define what are the motivators of your action, dreams and how to manifest the aspirations of your soul as well as fulfill your desires. To achieve this we acknowledge the inherent principles of the universe, the laws that our consensus reality impose on us and the option that we have to accept these as laws for ourselves or not. You are now able to differentiate between the desire of the self that are always based on the illusion of lack and fear, and the aspirations of your Soul which propel you forward effortlessly. 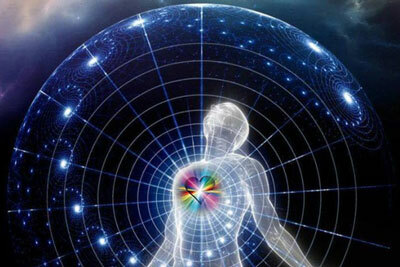 It is about matching the higher vibrations of the Soul and enjoying the enfoldment of life. By understanding yourself and the world around you, from a spiritual perspective you have the opportunity to lead a more meaningful life. Very often people discover that they have a profound purpose and that all of the events in their life have been orchestrated to bring them into this NOW. This realization is not only freeing but it chomps away at self-pity, self-judgment and allows one to refocus attention on the greater picture and shift thinking from despair to appreciation, from resentment to forgiveness, from judgment to compassion, from separation to love. You may be in the midst of what is commonly known as the “dark night of the soul” or have experienced a kundalini rising and find yourself in need of guidance, support and healing to help you release old patterns that have been triggered by the rise in energy due to your present awakening. Understanding the energetic component of such a crisis is essential to recovery as well as to integrate the new energy and resume your spiritual path. In the aftermath of a kundalini rising one may suffer from hallucination, hear voices, perceive energy pattern that they were never able to see and fall from bliss to despair, anxiety and depression. The solution for most is numbing medication, which do not bring relief nor understanding and growth. The differential from this awakening and the descent back into “ordinary reality” feels like a dive into darkness akin to Dante’s hell at time. Depression and anxiety may then rage after the bliss of spiritual awakening. Spiritual practices need to be closely monitored not to awaken the kundalini too soon, and to give time for the body to integrate the new energy. Specific exercises to keep one focused and at peace can prove to be beneficial to regulate to system. Grounding is one of the methods that need to be mastered. 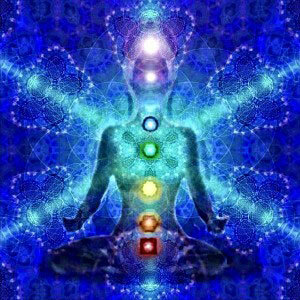 Spiritual healing is a significant part of spiritual life coaching. Spiritual life coaches focuses on creating new habits to integrate beliefs and to allow us to leave the past behind and become anew. They use many tools to take us where we want to be. When we integrate the past pains with love honor and respect, it is less likely that the same issues will come up and sabotage us in the future. 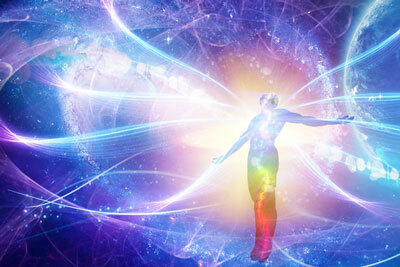 Energetic releases are as cathartic as any emotional or mental releases. The healing methods used can range from ancient rituals, ceremonies and hands on healing and to modern practices and therapeutic methodologies. Some of which may include, Chakra clearing and rebalancing, meridian therapy, shamanic healing such as Soul retrieval, hypnosis parts therapy, EFT, Reiki, Pranic Healing, Jin Shin Jyutsu, acupressure and sound-, crystal-, or aroma- therapy, family constellation, past life regression therapy or Soul Centered Hypnosis and meditation, or visualization. Spiritual Life Coaches work in partnership with the Universe and the Universe always bring you what you need to evolve and grow! Thus, most SLC will work with what is important to you that day. However before you begin the SLC program take a few minutes to center yourself and to write down the areas you'd most like to see transformed, along with whatever roadblocks or obstructions currently appear to be in the way. • Relax before your session, take a few deep breaths, meditate or pray. And trust that if you have been led to this SLC, the Universe wants you to learn something from it. • The main qualities of a Spiritual Life Coach are intuition and compassion. So while trademarked special processes sound flashy, the best SLC understand that their value comes from the uniquely simple, yet powerful, connection we each have to the Divine. • Your coach does not necessarily need to share your spiritual beliefs though in some instance it may help. If this is important to you be sure to ask. In any case, your SLC must be opened to various points of views, or be non denominational but accepting of all faiths, such as an interfaith minister. • Your SLC is meant to keep you inspired, and to really help you blossom as such, mindfulness, imagination and creative skills can be invaluable assets to in A SLC. • If they are to reconnect you to your Soul purpose and strengthen your communication with Spirit, they need personal experience in working with the Higher Self and/or the Soul. • SLC is an intimate and personal experience therefore it is important to choose someone you trust and you can open up to comfortably about your thoughts and emotions. Many Coach offer a complimentary phone “interview” to help you assess if you are a goo match take advantage of that. • Check the testimonials of how others appreciate their work, their personality, their methodology, their philosophy and approach. • Since SLC touches so deeply to the hidden part of our psyche, memories, emotions may surface in between sessions. You need to be able to communicate with your SLC. • Video session can be just as powerful and productive as the in-person kind. However if you prefer the intimacy of one-on-one choose someone in your area. • Ask what commitments or conditions are required to work with them. Most people benefit from continued Spiritual Life Coaching for a minimum of several months, and often years. However, you must always be free to chose, who you want to work with and for how long. • The session fee and length should be disclosed and set before you start. • You may have lost somebody you love, you might be struggling through a divorce, or you may be experiencing a mid-life crisis. 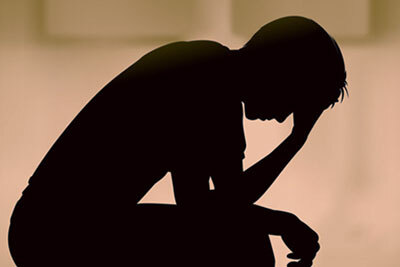 • You may not feel comfortable talking to friends and family members about your problems due to a fear of judgment and ridicule, or perhaps what you are experiencing is too private and personal to share with the people in your life. • You are confused about your spiritual gifts and abilities. • You feel wounded from your religious upbringings but still want to live a spiritual life. • You struggle with a spiritual identity crisis. • You yearn to trust yourself and your intuition. • You wish to break free of old beliefs or practices that no longer serve you and no longer resonate with who you are or want to be. • You want to learn how to use your inner wisdom as a guide to continue to evolve and grow spiritually in every area of your life. • You wish to eliminate any karma you may have and bring peace to difficult situation and relationships. The Spiritual Life Coaching benefits are beyond life changing. You will not only grow and expand as a person but in the words of Pierre Theillard de Chardin truly feel to be: “a spiritual being having a human life experience,” embracing all the power and joy that this entails. • As perception is transformed you become the creator of your life rather than the reactor to it, and you learn to make decisions that strengthen your bond with yourself and others. • Awareness of your own needs, wants, desires, goals, aspirations, & ideals are the framework of your life expression. In the midst of these you learn how to keep peace in your life even when you are surrounded by chaos. • Peace of mind brought on by compassionate understanding and forgiveness. • Deep sense of knowing what life and the universe are all about. You become the master of your mind, understanding what you truly need to become happy, whole, and spiritually at-One. • Enthusiasm for life, excitement, recognized passion and power to co-create are the ultimate reward of Spiritual Life Coaching; to be fully engaged in life and in positive service in the world. • Recognition of your own intuitive abilities that help you nurture your partnership with Spirit, your Higher Self and your guides. Chantal coaches you to think outside the box by learning to appreciate simple spiritual principles that may defy every day logic or societal conventions to allow miracles to happen. Although behaviors, habits, and goals, may be examined, it is by delving into your deep-rooted beliefs and your connection and understanding of the Divine, that you will experience peace and discover your inner wisdom. Together with Chantal, you will review what your desires may be and what the aspirations of your soul are, and how to align these with your present path. In the safety of sacred space and confidentiality, Chantal gives you the opportunity to have a voice. Deep listening, channeling, EFT, guided visualization/meditation, integrative energy medicine, guided visualizations, are some of the tools at her disposal to help you embrace freedom, peace and joyful living. Some issues may call for Individual Family Constellation, Soul Centered Hypnosis or QHHT past life regression, or Integrative Energy Medicine treatment, these require separate appointments. 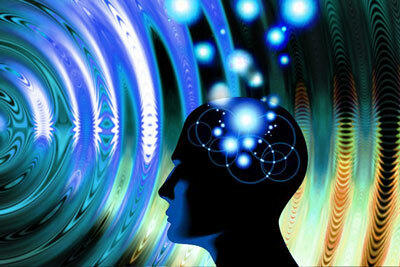 Visit Soul Centered Hypnosis of more information. Enhance your practice with our outstanding Reiki Certification Training.